My introduction to pudding was very cold and brief. It was not love at first sight. It’s slimy texture was far from appealing to me. Then I had a change of heart when pudding became my consolation after I had my braces slapped on to my teeth. I literally couldn’t eat solid food for nearly two weeks. My mother would stock up on pudding among other things. Swiss Miss pudding was my favorite brand. They were inevitably devoured shortly after they filled up the refrigerator. Only then did I regret having preconceived notions against pudding. While I enjoyed eating pudding, making pudding seemed intimidating and painstaking. Only this one time did I bother to make pudding from scratch following a recipe, of course. It was my final time. Never did I struggle to temper the egg mixture. It was a scrambled epic failure. I ended up making what I can best describe as scrambled eggs in chocolate. Yummy. Subsequently, I had to toss it in the bin along with the illusions of mastering in making pudding. Even this incident would make Amelia Bedilia seem less catastrophic. Luckily, I only made one serving worth of pudding before it was qualified as a waste. I then stuck to just eating pudding and not causing further damage to my pots and pans. My hankering for pudding returned after being dormant for a while. Swiss Miss pudding is not available where I live and I find the brand that my local store carries to be too sweet. Then the idea of learning how to make vegan chocolate pudding crossed my mind. I am very eager to share this healthy chocolate pudding recipe with you because it’s rich, silky, decadent and most importantly, super easy to make. Plus, I added my own twist. Only this time I did not encounter a kitchen disaster when making this vegan chocolate pudding. This healthier version has everything you can expect from a Swiss Miss chocolate pudding but without the eggs, cream, and sugar. All it takes is blending all the ingredients in a food processor and voilà! No more burnt pots. No more scrambled puddings. While this healthy chocolate pudding may seem like child’s play, the verdict is worth the lack of effort. And I am all about damage control in the kitchen. Thankfully, my kitchen disasters have been minimal. Place all ingredients in a food processor or blender and blend till smooth. Add a bit more liquid as needed for desired consistency. Spoon the pudding into ramekins or bowls, cover and chill in the refrigerator until ready to serve. Top with chopped walnuts if you like. 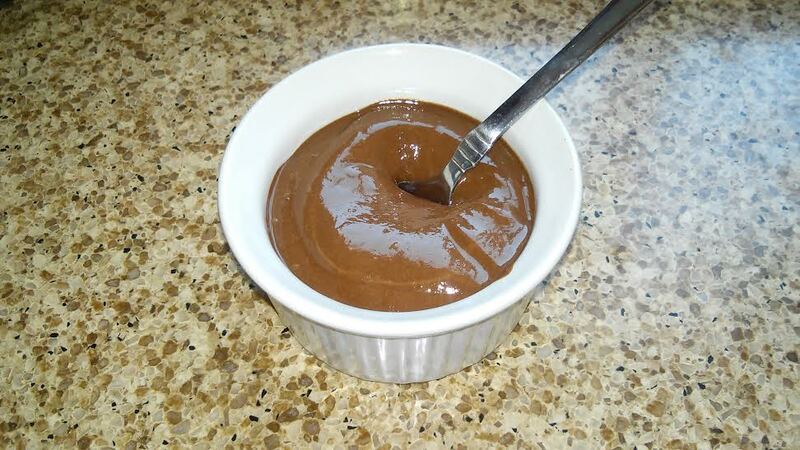 This entry was posted in Desserts, Gluten Free, Sugar-free, Vegetarian and tagged healthy chocolate pudding recipe, make vegan chocolate pudding, Swiss Miss chocolate pudding, vegan chocolate pudding. No-fuss elegant delectable desserts are my favorite to make – no-bake desserts specifically. It’s not just because I am lazy or pressed for time (even though I frequently finding myself in these circumstances; I blame the heat). I may have used this proverbial quote before but I will reiterate it again: If you can’t take the heat, stay out of the kitchen. In my case, I can’t stand the heat but won’t let it chase me out of the kitchen. 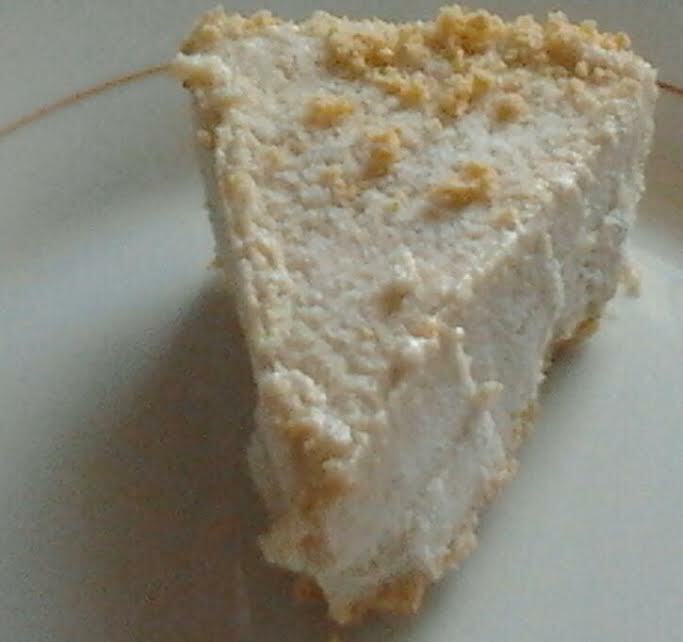 With this soy-free vegan raw cheesecake that I recently made, I remained in my kitchen without the heat. I’ve had my fair share of raw desserts before and even made some myself. Raw cheesecake was a novelty to me, especially a soy-free version. Many people I know are not particularly fans of soy oriented dishes and desserts so I wanted to share a dessert idea that both vegans and non-vegans can compromise on and mutually enjoy. Unless you have a nut allergy, you will appreciate this raw cheesecake recipe regardless of your dietary orientation. I, for one, love nuts. That is why I was devastated upon recently discovering my allergies for chestnuts and pine nuts. I pray hope that more onset nut allergies won’t follow. Thankfully, I can still eat cashews, almonds, and macadamia nuts – ingredients I used in this no-bake raw cheesecake recipe. When I served this raw cheesecake to guests, they had a hard time believing that I used nuts instead of Tofutti cream cheese. I like using cashews and macadamia nuts in my desserts primarily because they are versatile, creamy, and lovely tasting. I very seldom use macadamia nuts because they are very expensive so I alternatively used almonds instead which gave this raw cheesecake a ricotta cheesecake texture. With this raw cheesecake, it’s almost like biting into a slice of a New York style cheesecake minus the high fat content from the cream cheese and sour cream. Even a small slice is extremely satisfying and will give you a comfortable feeling of fullness without weighing your stomach down. You can enjoy a dessert that is equally exquisite, rich and gourmet without tacking on the extra calories. If you enjoyed my nut cream recipe, you will rave over this raw cheesecake recipe. Hassle-free and easy to make, this soy-free, no-bake vegan raw cheesecake is perfect for beginners consisting of only 6 ingredients excluding the pie crust! This recipe is practically fool-proof. In fact, I will be very impressed if you manage to screw this recipe up. Cover nuts in a bowl and let it soak for 8-12 hours or overnight. Drain. Combine all the ingredients for the cheese filling a food processor or blender and process for 6 minutes or until completely smooth. Pour contents into prepared pie crust then cover and freeze till ready to use. Remove cheescake from freezer 5 minutes before serving. Store in freezer up till 2 weeks. 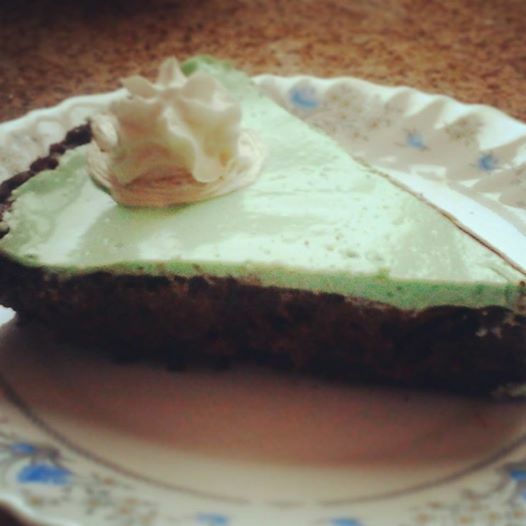 This entry was posted in Desserts, Vegetarian and tagged no-bake, raw cheesecake recipe, soy-free, vegan raw cheesecake. Chocolate pies are on the top of my list of favorite desserts. They feed into my love for chocolate along with the smooth and luscious texture that I immensely enjoy in chocolate pie. Unlike the original Mexican chocolate cream pie recipe, my version makes up for the fact that it doesn’t use heavy cream, a lot of eggs, and sugar. If fact, I don’t use eggs or dairy milk at all in my Mexican chocolate cream pie recipe. And yet, you still get the flavor and silky texture as you would in a regular chocolate cream pie. The raves and compliments I received from my other chocolate pie recipes verify that. Cooking light doesn’t require you to compromise on the flavors even though certain ingredients have the capacity to alter the texture. From my perspective, cooking light is about making changes in our eating habits while enjoying the foods we love. Cooking light doesn’t entail making that many sacrifices, especially in chocolate cream pies. I don’t often find myself pining for the original ingredients. I sometimes forget that I didn’t use them. Those who know me well will confirm that I love Mexican food. From tacos to burritos, chili, and enchiladas, I can’t get enough of these dishes. Nachos, in particular, are my favorite Mexican snack food – I normally make my own variation. Oddly enough, I have not tried Mexican themed desserts primarily because of my lack of knowledge and familiarity in that department. When I first discovered Mexican chocolate cream pie, I was thrown off by one of the ingredients; ground chili powder. I’ve eaten many sweet and spicy dishes but not in a form of dessert. The concept behind infusing chili powder and chocolate seemed odd but adventurous to me. It seemed a bit risky but worth taking my chances on. I’m glad to have gambled or my anxiety would have forced me to miss out on this spectacular dessert. I only wish I could have thought to make this pie around Cinco de Mayo. The pie was consumed within 48 hours and we all ate it straight from the pan. Preheat oven to 375 degrees F. Bake pie crust for 10 minutes. Combine corn starch,flaxseed meal, cocoa pwoder, espresso powder, sugar, salt, chili powder and cinnamon in a shallow bowl. Place chocolate in another bowl. Place milk in a saucepan over medium-high heat. Cook until bubbles form around the edges. Do not boil. Pour milk over chocolate and let it rest for 2 minutes before whisking. Add the other ingredients while whisking the chocolate. Once completely incorporated, transfer chocolate mixture to the pie crust. Bake for another 10 minutes. Place on wire rack and allow it to completely cool. Cover pie with plastic wrap and chill in the refridgerator for 3 hours or until firm. In a clean bowl, beat dessert whip till stiff peaks form. Spread or pipe over into chilled chocolate cream pie. Dust with a bit of cocoa powder, chili powder and cinnamon if you like before serving. 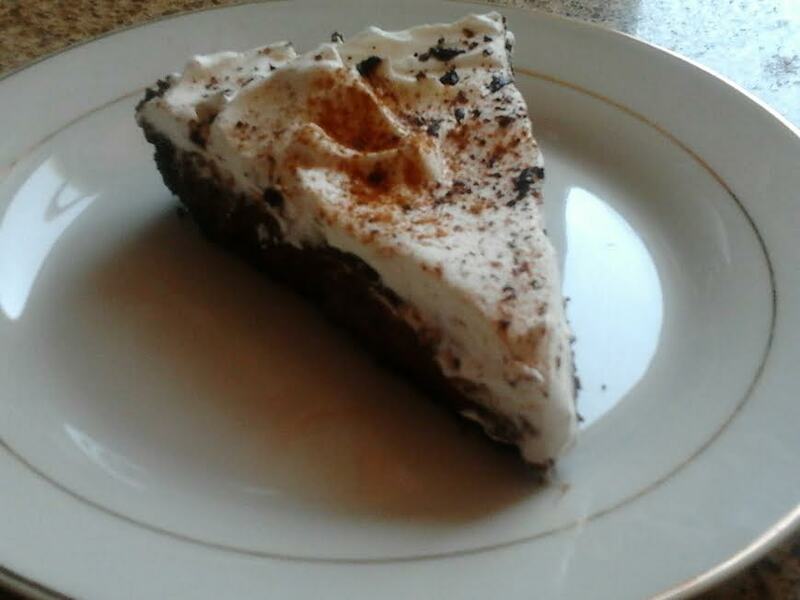 This entry was posted in Desserts, Vegetarian and tagged chocolate cream pie, cooking light, Mexican chocolate cream pie recipe. No matter how hard I try to be consistent in regards to healthy eating, fighting my insatiable cravings for chocolate is a hopeless and futile agenda. I don’t even bother to care most of the time. It’s a losing battle. That doesn’t mean I’m constantly stuffing myself silly with chocolate confections. But the notion of having an allergy to chocolate would almost be apocalyptic, heaven forbid. Considering how I make and serve chocolate treats weekly, I am not concerned about that at the moment. I could only compromise on so many treats. I am not ready to surrender my love for chocolate yet. Thankfully, there are so many ways to make chocolate treats tasty and healthy. I always welcome healthier alternatives for the sake of my teeth, waistline, and strong adversity to processed “goods” which have been persona non grata in my pantry. Just because I won’t buy these commercial treats doesn’t mean I won’t attempt to make them myself. Snickers bars are no exception. Snickers bars come in second place to peanut butter cups on my list of favorite chocolate treats. The combination chocolate and caramel wins me over almost every time. Nothing beats sweet and savory in one bite. At first, I was skeptical about the idea behind healthy snickers bars. It almost seemed like an oxymoron considering that the ingredients in snickers bars consist of corn syrup, partially hydrogenated oils, and artificial flavors; ingredients I try to avoid consuming in any possible way I can. Vegan snickers bars seemed most tangible to my dietary needs. 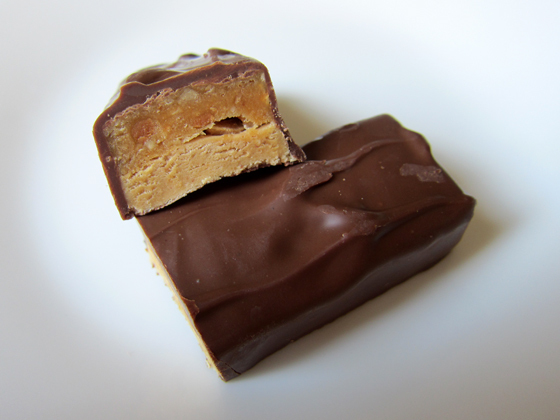 If I could make homemade chocolate peanut butter cups from scratch, then I can only imagine how simple making homemade raw snickers bars would be. Words don’t even begin to describe the elation I felt when I learned that not only making healthy snickers bars was possible, but is as easy as well. Veganizing snickers bars almost seems like an abomination. The flavors of these raw snickers bars are just as sinful but I feel that I would be doing a lot of injustice to myself by eating the commercial bought version. While these raw snicker bars may seem like an overly-simplified way to make nougat for a candy bar, it works 100 percent for me as it will for you. The heroes of this candy bar are the caramel made from dates, peanuts (I used pecans) and dark chocolate coating anyway – this simply adds a healthier, not-too-sweet base to bind all the goods together. Sugar-free and gluten-free, these vegan homemade raw snickers bars are loaded with only all-natural ingredients and plenty of fiber therefore you don’t have to worry about the hidden sugars and unhealthy fats. The results are so decedent that you won’t miss the processed version. I do plead guilty to eating processed snacks occasionally but I no longer have to worry about binging on them now that I’ve learned how to recreate a healthier version. For ther nougat base, combine the first 6 ingredients in a bowl. Then press the dough onto a baking sheet lined with parchment paper, and use your hands to create a uniform rectangle shape that is about 1/2-inch thick. Place in the freezer to set. Once firm, distribute caramel sauce evenly. Sprinkle chopped nuts over the top of the caramel layer, and use your hands to gently press the chopped nuts into the caramel filling. Freeze for another 30 minutes to set. 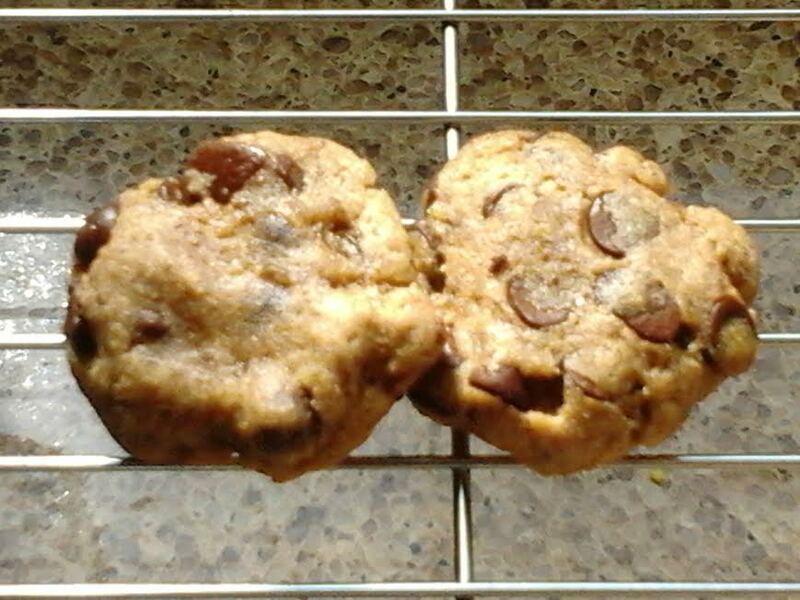 Melt chocolate chips with margarine in a microwave or double boiler. Remove candy bars from freezer and slice into 6 or 8 full size bars. Coat each bar from top to bottom with a spoonful of melted chocolate. Return bars to freezer and allow them to freeze for another 15-20 minutes before serving. The longer these bars freeze, the firmer they become. 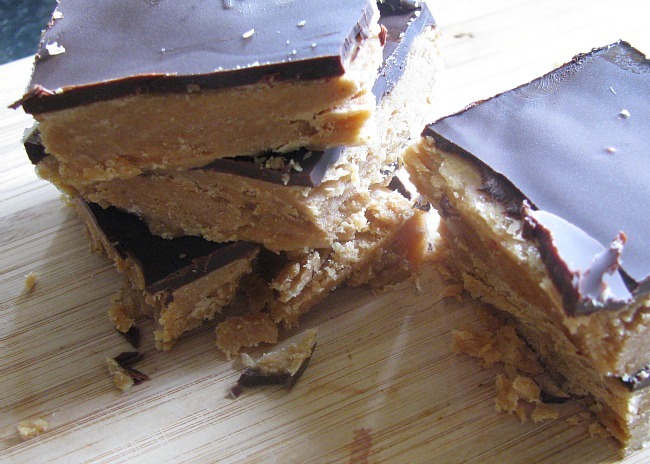 This entry was posted in Desserts, Gluten Free, Sugar-free, Vegetarian and tagged homemade raw snickers bar, vegan snickers bars.